How could a relatively simple chemical code give rise to the complexity of a human being? How could our human genome have evolved? And how does it actually work? Over the past 50 years we have deciphered the inner workings of the human genome. From the basic structure of DNA through to the complete sequence of the code, what first appeared to be simple is actually a complex and beautiful three-dimensional world that makes each of us who we are. 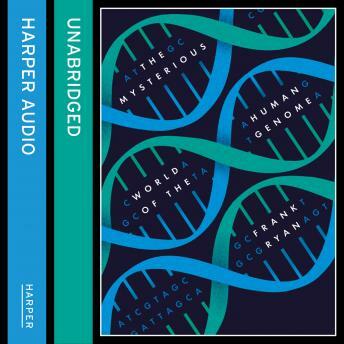 In The Mysterious World of the Human Genome acclaimed science writer Frank Ryan leads us through the most exciting scientific discoveries of the last 50 years, revealing how this science has unlocked the cure of some genetic diseases, developed the use of DNA in forensic science and paternity testing, helped us trace our ancestors and provided a definitive map for the movement of humans out of Africa. This scientific journey has had a profound impact on our understanding of the evolution of life itself, through the role of the most ancient of organisms in our basic biology all the way to the revelation that our most recent ancestor, Homo neanderthalensis, lives on in many of us. In the ever more complicated world of the human genome, this is the first book to explain how the human genome actually works as a whole and how that knowledge will have a profound effect on our understanding of where we have come from and where we are likely to be going in the future.